Has that time come where your first motorbike registration sticker on your car or motorbike is about to expire? Well if you are in that position and are looking to go legit in Thailand the process is actually quite simple to renew and get a brand new sticker to slap on your vehicle. 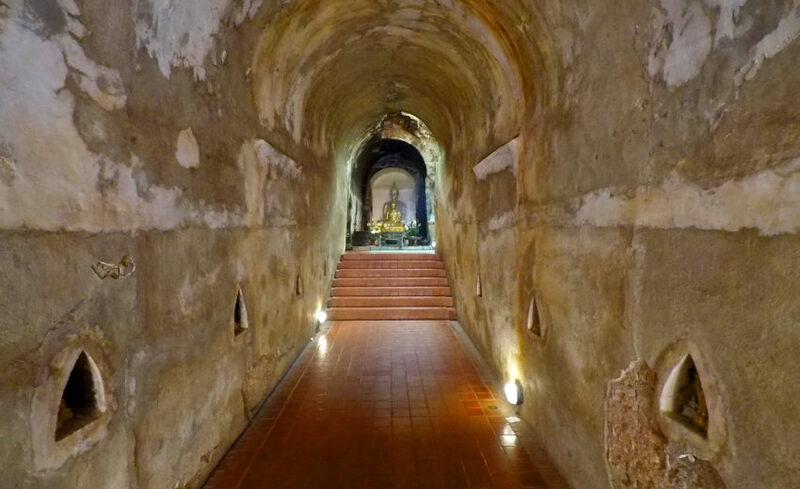 UPDATE: Feb. 2019 The process described in this post is still exactly the same in Chiang Mai. 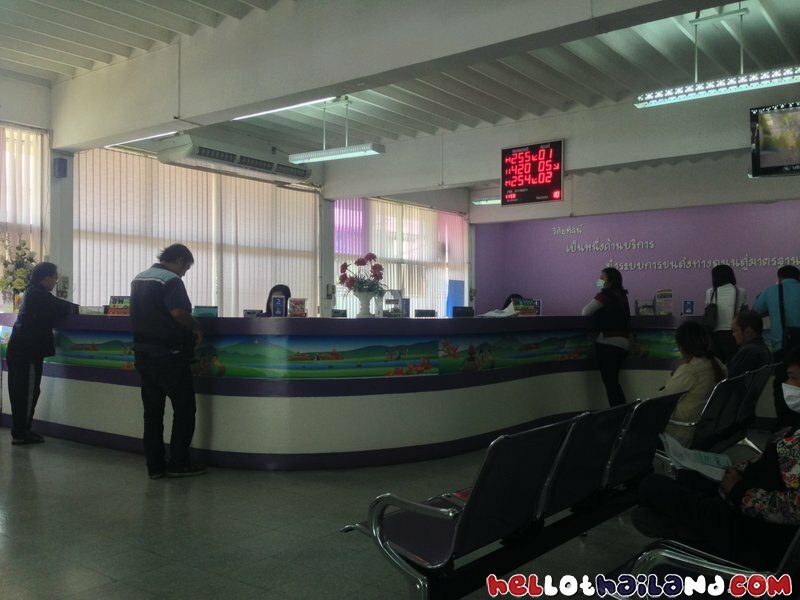 The prices for a motorcycle were 324 Baht to get the Insurance and 100 Baht to get the registration sticker. However, there was one change. I have said in my posts that if you have an older bike you might need to get it inspected before they approve you. Well that was the case. It seems once your motorbike hits 5 years old you are required to get it checked. So what does that mean? Well you have to go to the little inspection shop. As you exit the DMV you turn left and almost right away you will see the shop. You bring your bike in and hand over your green book. You sit in a room while they inspect your bike and then if everything is okay you get a slip that you can take back to the DMV. If everything is not alright then you will probably have to go and get it fixed somewhere. Once your bike reaches five years old you will have to get it inspected every year. 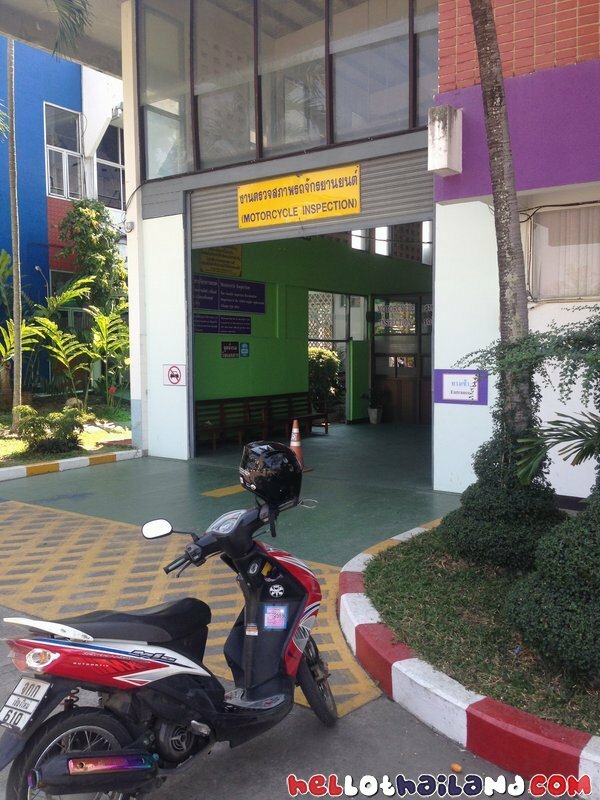 I can’t quite recall how much it cost to have the bike inspected but I think it was around 60 Baht. Older Bikes (5 years plus) – Get Insurance at office outside, Get bike inspected at shop to left of DMV, then go to DMV for registration sticker. There are two big reasons why should go legit when driving the streets of Thailand. The first is failing to have the sticker will result in no 3rd party liability insurance if you get in an accident. 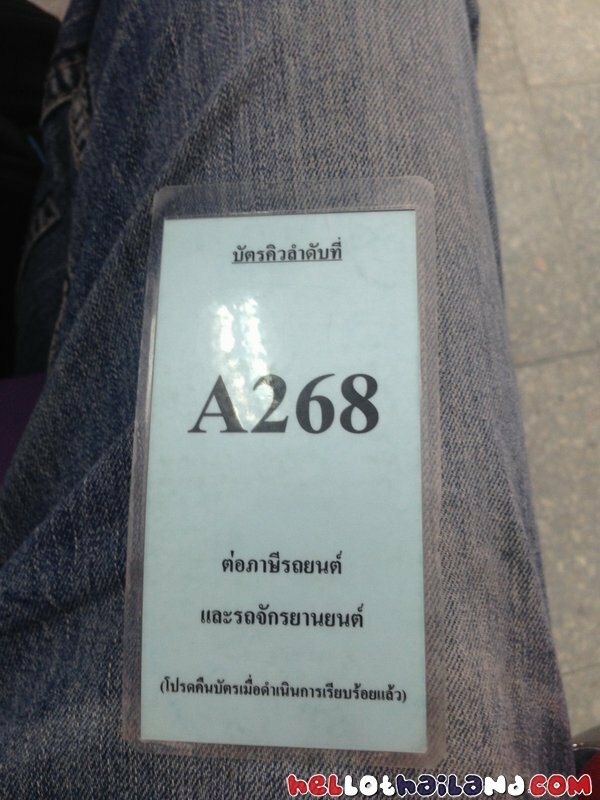 The second reason to get the sticker is to avoid getting a ticket if you are ever pulled over by the Thai police at a checkpoint. For those two reasons alone it is a good idea to get the basic insurance and registration and it won’t take you long at all. I will be discussing the process up here in the North in Chiang Mai. However, other provinces will surely have similar procedures that you can research online. If you are not comfortable doing the registration yourself you could always hire one of visa type companies in your city. The process might cost you a little more money.The sticker might take a few days to arrive but it might save you the headaches of trying to figure out the process by yourself. The choice is yours but let me assure you that even if you have little Thai language the process is not that hard. 3. Older Bikes – If you have an older bike you might be asked to have it inspected. They will check brakes, lights, tires etc. to make sure the basics are in working order. So you might want to service your bike before you go if it has obvious problems. They did not ask me personally to check my bike, perhaps because it is still pretty new 2014 model. 1. 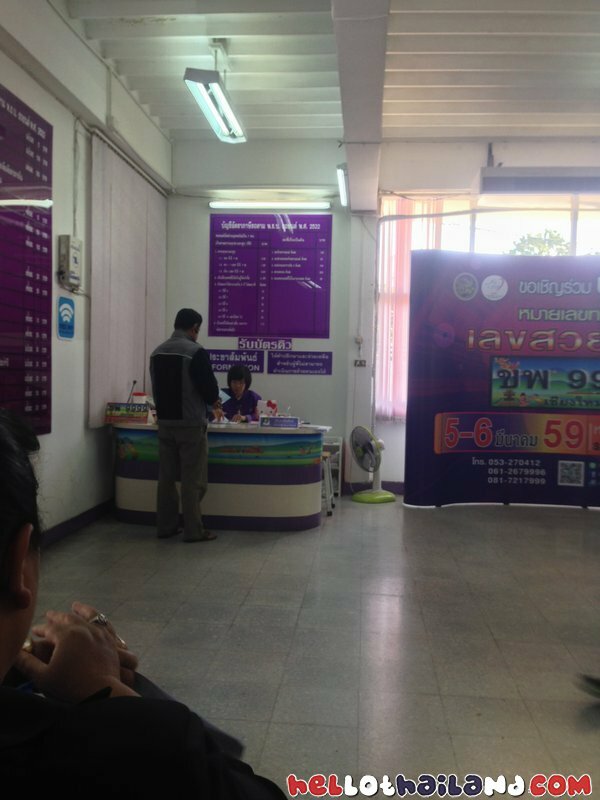 Once you have all the information above you need to drive down to the Thai DMV (Chiang Mai Provincial Land Transportation Office). I had problems finding the building on my GPS. 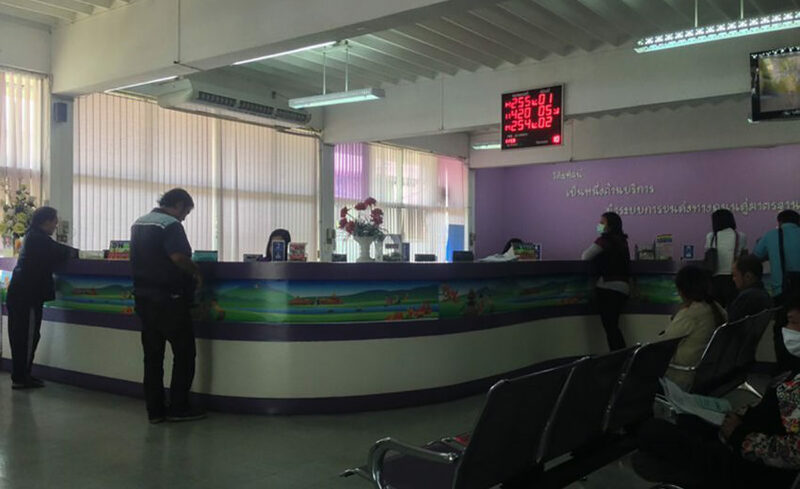 I knew that the DMV was close to the Holiday Inn Chiang Mai Hotel on the Ping River. I used the hotel as my landmark as it was easier to find. If you walked out of the hotel and looked to your right you will see an intersection. Behind that intersection is the building for the DMV. 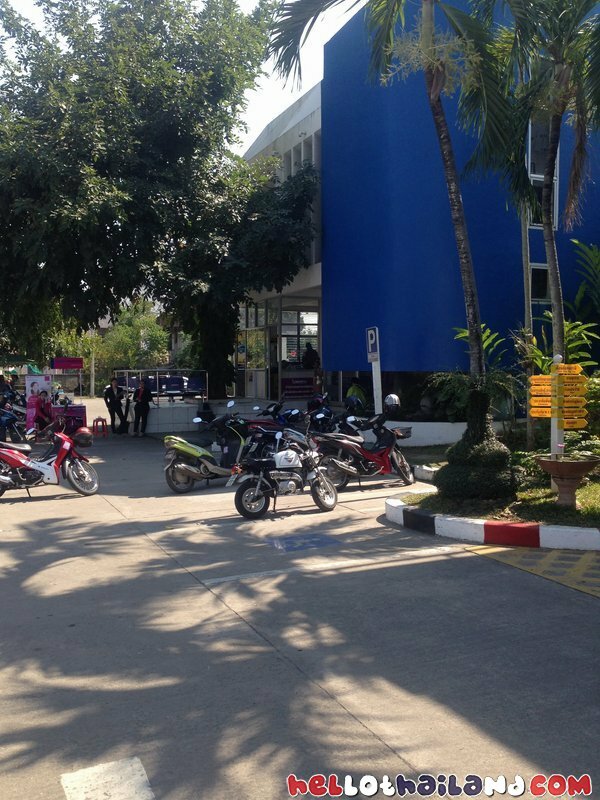 All the building are in purple, yellow and blue with lots of bikes in the parking lot. 2. When you enter the driveway of the DMV head towards the back. There will be a little office outside to the left of the stairs and a bigger office straight ahead. Go to the little office first as that is where you will get your insurance. The staff will take your green book, enter the information into the computer, and ask for about 350 Baht. They will then give you a little insurance paper to put inside your bike seat and a receipt to move on to the next stage. 3 Next you will enter the bigger office and head to the left first. There will be a small desk with an employee handing out queue numbers. Give the staff member your green book and the receipt from insurance office and she will assign you a number. You will then sit down and wait to be called. When you are called to the desk you hand over your queue number and Green book. 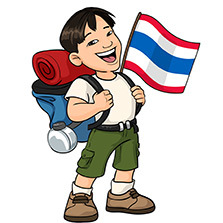 The staff member will get you the final sticker and ask you to pay about 100 Baht processing fee. At this time they may ask to inspect your bike but I have not been asked as of yet, perhaps because my bike is only a couple of years old. I have done this process twice now over the last two years and I was in and out with my new sticker and insurance within an hour. Even if you do not know a word of the Thai language you can just enter the office and look confused and someone will help you out. They know why you are there and seemed to process people efficiently. 1. Outside the office a little sticker case shop. You can buy one of those plastic tubes to put your sticker in and screw it to your bike. Or you can buy a clear sticky seal that will paste the sticker to your bike. At first I was buying the tube but it has been stolen twice. I believe they are stolen not for the sticker inside but for the tube for resell. So last time I decided on going for the cheap sticky seal. The sticker is supposed to be visible on your motorbike. I used to keep it in my bike seat but got a ticket for not showing it on my bike once. I am not totally sure if that is a real law or not but I would advise putting it somewhere noticeable. I would also suggest perhaps taking a photocopy of the sticker in case it gets stolen you have a backup to show the office when you need to get a replacement. 3. 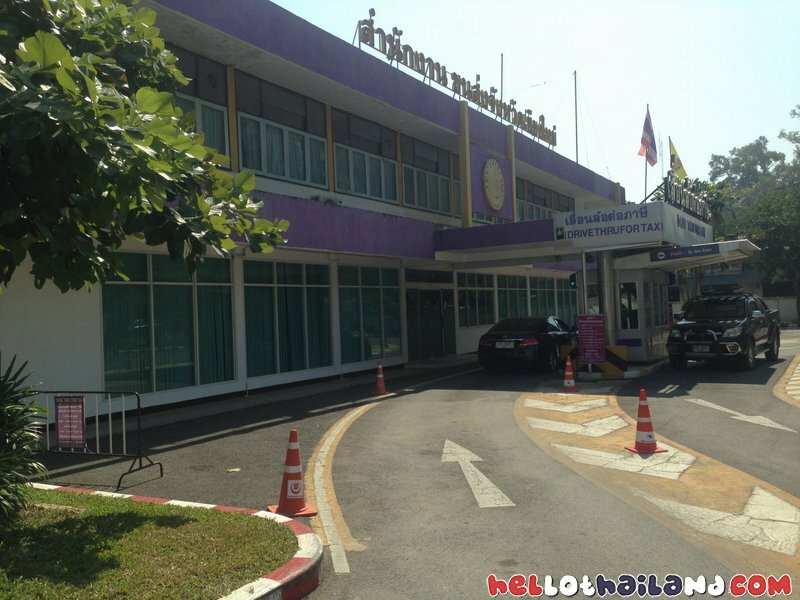 There are actually two Chiang Mai Provincial Land Transportation Offices which can make things a bit confusing. One is where you get your drivers license while the other is where you get your sticker. Just remember the one beside the Holiday Inn is where you get your sticker. Once again if you have any questions please feel free to leave a comment. I will answer you as soon as I can and of course if you have any experiences to share I would love to hear all about it as well.